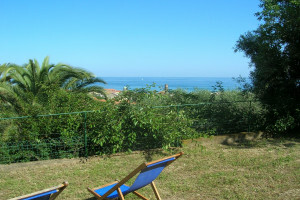 Heavenly holiday rentals with pool in open location in Liguria will certainly become your favourite holiday destination. Check our holiday rentals catalouge to find the best match for you to relax by the pool. Off you go to the pool! Go for a swimming round in the pool before breakfast, enjoy the midday sun on a sun couch on the terrace or take a refreshing bath after an eventful day… When you have a holiday apartment in Liguria with a swimming pool or a whirlpool, you can jump into the cool water any time you wish. 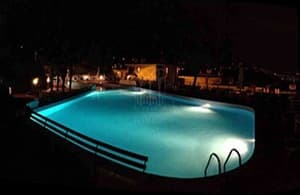 We offer you both holiday apartments and holiday houses with a private pool, and also beautiful farm houses (Agriturismi), holiday units and apartments where you will generally have access to a shared swimming pool for the most part of June to the end of September (depending on the weather). Spending vacation in a holiday apartment in Liguria will not leave you wanting. 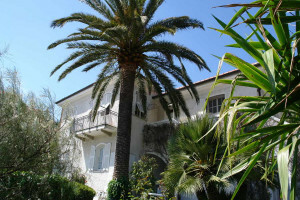 From the charming Agriturismo with a swimming pool in the region’s hinterland up to the holiday apartment directly by the sea – you can tour the area around Imperia, Savona, Genoa and La Spezia wonderfully from every direction. Our team at BlumenRiviera is ready to advise you with regard to the exact location and furnishing of all accommodation units, so that you don’t have to lack anything during your vacation. Who is the first to get into the water? Even before the bags are unpacked at the holiday destination, swimming costumes are adorned quickly and the pool is inaugurated amidst lots of joy. For families with children, holiday accommodation with swimming facilities in Liguria is definitely a highlight. The first swimming attempts can be made here before eventually heading out to the real sea or the first diving exercises can be done in this non-salty water. While your children are playing contentedly in the swimming pool, you can relax comfortably with a thrilling book on the sun couch. 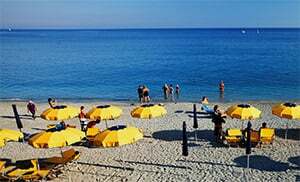 The beaches in the Ligurian provinces are also suitable for sunbathing, and you can get there from your holiday apartment or holiday house. ... and what better place to get the necessary nourishment than in Italy, the country with diverse culinary traditions? The Ligurian cuisine will pamper you with traditional fish, meat and vegetable dishes. One should absolutely also try the pasta with fresh basil-pesto, which incidentally will not lack in any restaurant in the province of Genova. Gourmets will definitely get their money’s worth in this place. Whoever would like to cook for himself can find regional ingredients at the numerous weekly markets in the province of Imperia. From the well-furnished kitchen in your holiday apartment you can conjure up a delicious Italian dish for your loved ones while the children are still playing in the pool. Take time to try qualitative and internationally renowned products, like the Ligurian olive oil and regional wines. They not only taste good, but they are also very healthy. After fresh nourishment, you can undertake a cycling tour along the picturesque coast in this region, go on a walking tour of the Ligurian hinterland and/or plan a daytime tour of the neighboring France. Before you jump into bed after an eventful day, the whirlpool in your holiday apartment beckons you for a relaxing session. You can then enjoy the view of the setting sun over a glass of wine on your terrace overlooking the sea. 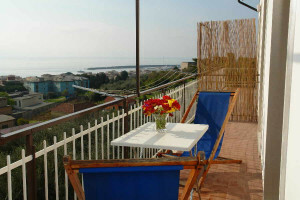 A holiday apartment with a pool in Liguria will make your vacation in Italy a total success. Create beautiful and unforgettable fresh memories with us at the BlumenRiviera!